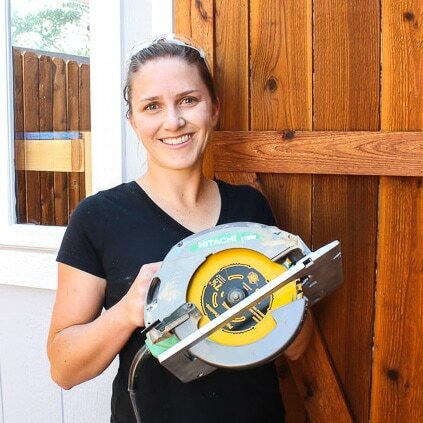 I decided its time to spruce up our upstairs bathroom with a quick budget friendly makeover. This update is going to be focusing on the vanity mirror & light plus some added storage above the toilet. 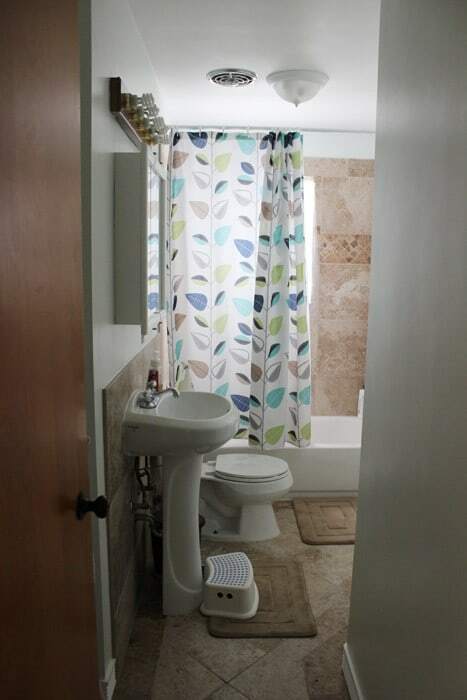 (Plus a new toilet, ceiling light, and possibly a fan but more on that another day!) But let me remind you what we are working with. Now let me share the plans that have been spinning around in my head. For the vanity mirror I have been in love with this style. LOVE this look so much, I wanted to recreate it in our bathroom but I then got distracted because I still need storage in the vanity mirror. So I started looking into some way to have storage but still have that look. I found this vanity mirror. 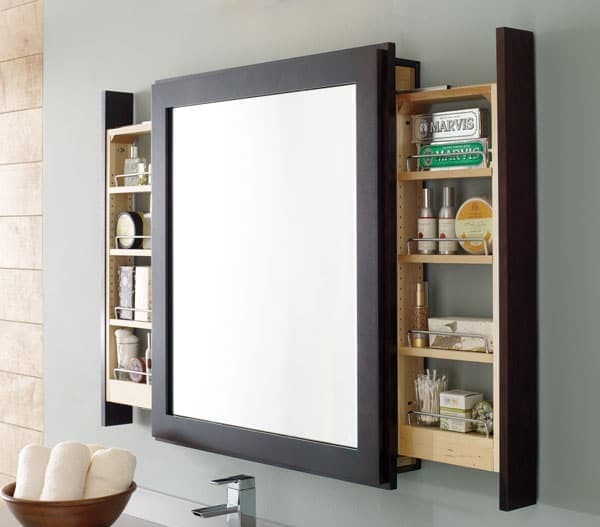 My head was spinning with the possibly of building a vanity that looks like the first but has the storage of the second. I even had the plans but the first thing I had to buy was the mirror itself. 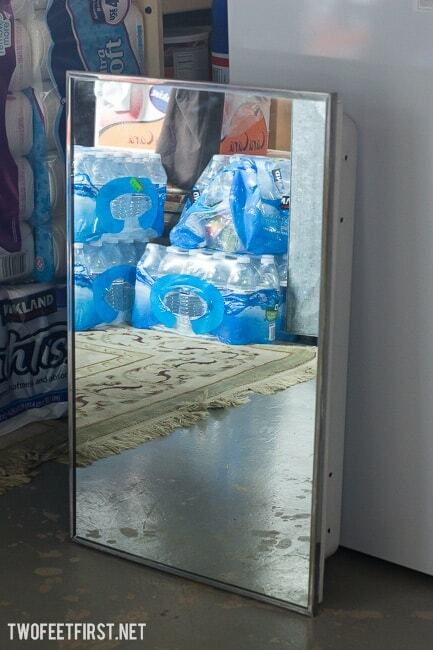 SO after looking at the store I was shocked at how much they are… I then headed over to our local ReStore store to find an old vanity mirror that I could just use the mirror. But what I found changed my plans again… I found this guy in almost perfect condition for only $5, just the shelves are missing. 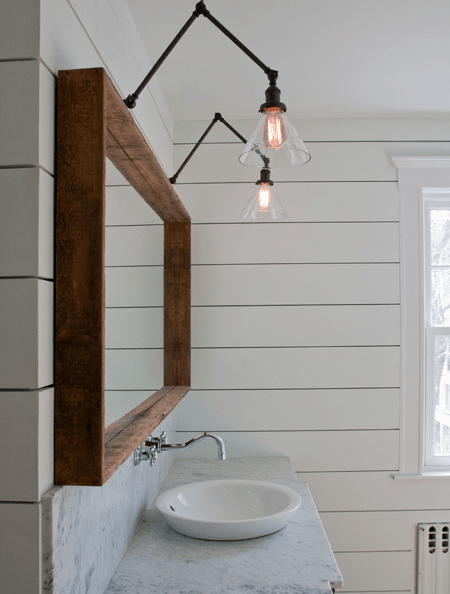 Now for the vanity light, there are so so many lights out there in this big world but I want something simple with an industrial style. But guess what? 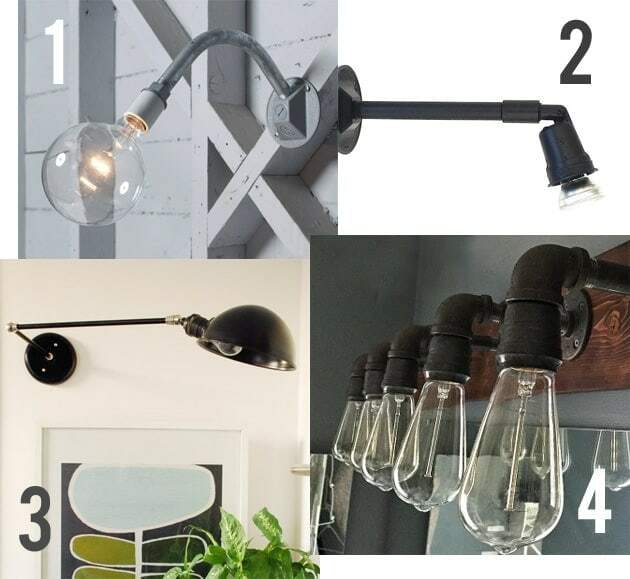 I am cheap and do not want to spend more than $40… So after searching everywhere for something, I have decided yet again to make my own light (see our kitchen pendant light here). But I wanted to share my inspiration. 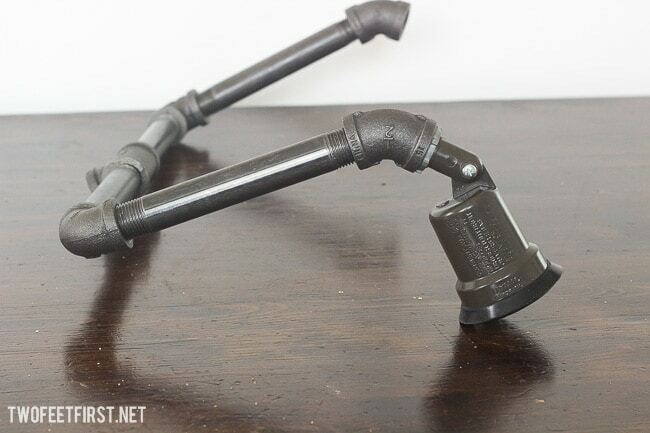 The parts I used in that picture were from the local hardware, wanted to get an idea of the look… But because the pipes are a lot more money then this store, I am now playing the waiting game waiting for the pipes I ordered to get here! So what about some added storage for the space? 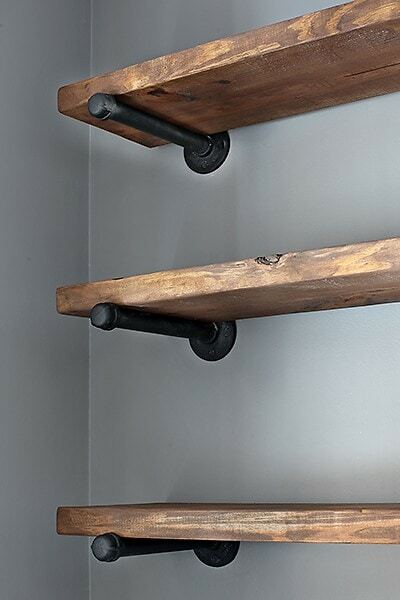 Well I have been crushing on floating shelves and I want some in our home (see the ones my sister made here). But because I am trying to stay with the industrial pipe look I decided I am going to be doing something similar to this. But the big thing we will be storing on the bottom shelf will be the kids toothbrushes and toothpaste. Does anyone have the problem of toothpaste all over the vanity mirror like we do? Well we are hoping this will help with that problem. So what do you think of our plan? I am pretty excited and cannot wait for all the parts that I ordered to get here so we can begin!!! PS… We got a new TOILET and our bathroom sink FINALLY drains plus we have a working sink and toilet in the basement bath now too. Just our big project of replacing our drain stack over the weekend, will share soon… But we are so excited about it!!! Thanks DAD for your help!! !